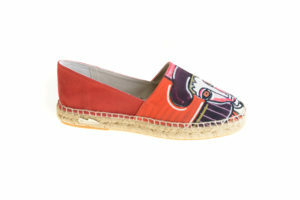 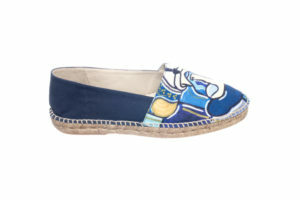 Comfortable espadrille wedge with 5 cm heel and organic cotton footbed. 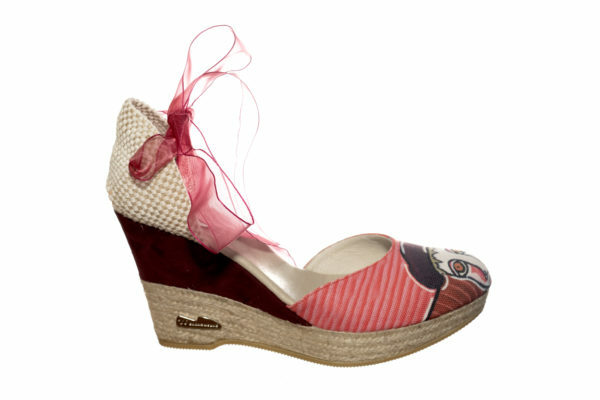 Adjustable ankle organza strap in fuchsia. 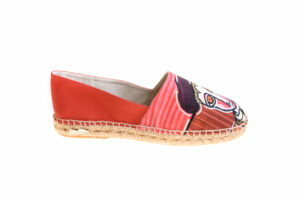 Colorful bullfighting motifs in strawberry tones.